The resolution plan for Jet Airways, which is operating with about a fifth of its original fleet, has run into further trouble. Even as there’s no sign of any investor so far, the lenders have decided to ask for expressions of interest (EoIs) for a stake sale on April 6. They have set April 9 as the deadline for receiving EoIs, giving investors three days to respond. 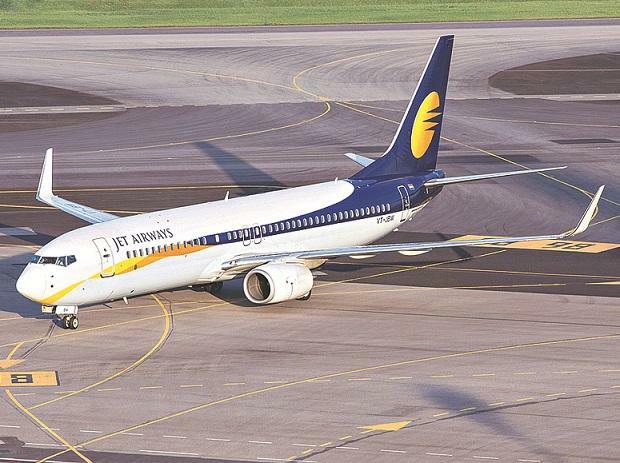 To prevent Jet from being grounded, lenders’ consortium led by State Bank of India will release Rs 150 crore as emergency fund to the airline, which has a debt of more than Rs 8,500 crore besides unpaid dues to lessors and employees. The resolution plan prepared by the lenders had estimated an emergency fund of Rs 1,500 crore for the airline, but after a lengthy meeting of bankers and Jet executives on Thursday, a decision was taken to infuse Rs 150 crore for now. There was no consensus among the bankers on the resolution plan or the committed amount of Rs 1,500 crore. With the additional funds, the airline, left with 26 planes, will manage operations for only the next few days. It has assured the government there will be no further groundings. In a joint statement late Thursday evening, lenders said they intended to pursue the bank-led resolution plan for the stake sale in the company in a time-bound manner under the present legal and regulatory framework, while inviting expression of interest from potential bidders. "Lenders are cognizant that the outcome of the efforts will depend on the interest shown by the parties in stake sale," the statement added in a sign of things to come. A senior public sector bank executive associated with the Jet Airways rescue plan said lenders were trying to give support but the financial situation was grim. "It is already operating with a small fleet. We had prepared an estimate of Rs 1,500 crore for interim funding. It was a preliminary figure and that keeps increasing. Unless there is a concrete investment proposal, it will be a difficult situation." Another banker pointed out that not all lenders are willing to release more funds into the company, not even priority funding. ‘’The resolution plan involved funding from the original promoters, and in the absence of that there should be a commitment from a new investor for further funds to be released,” said a bank executive. In an indication that the crisis is getting bigger, Jet Airways CEO Vinay Dube and CFO Amit Agarwal briefed civil aviation secretary Pradeep Singh Kharola on the current state of operations. State Bank of India chairman Rajnish Kumar too briefed the secretary. “Jet Airways has assured that its fleet size will not go down below 26 planes. Safety and convenience of passengers will be kept in mind before any decision on Jet Airways is taken,” Kharola said. Lessors have been grounding Jet's fleet over non-payment of dues. Other suppliers and vendors too are stepping up pressure. On Thursday, oil marketing companies briefly stopped fuel supply to the airline over non-payment. However, operations resumed soon after. "Jet Airways continues to operate as per schedule," the airline said in a statement.